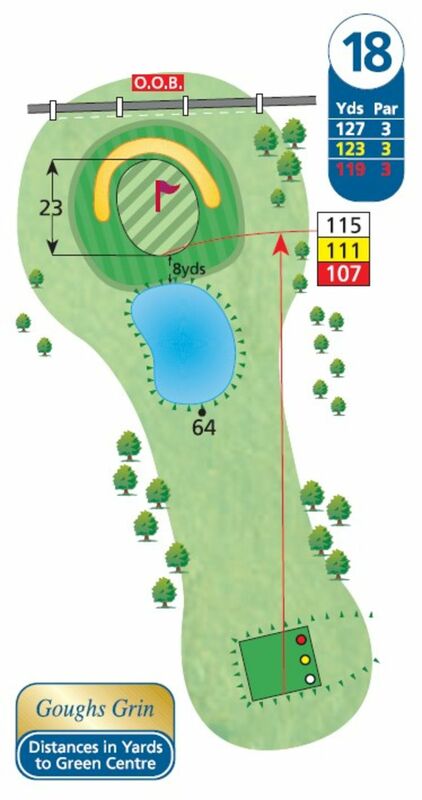 The finishing hole is only a short par three, but is decidedly trickier than its stroke index of 17 might suggest, with water at the front and a horseshoe-shaped bunker all the way around the back to catch out those who deliberately overclub. Generally this hole plays straight downwind as well, making things even more difficult. Having safely negotiated the last with a par, it’s time to head off for a well-deserved drink in the 19th!